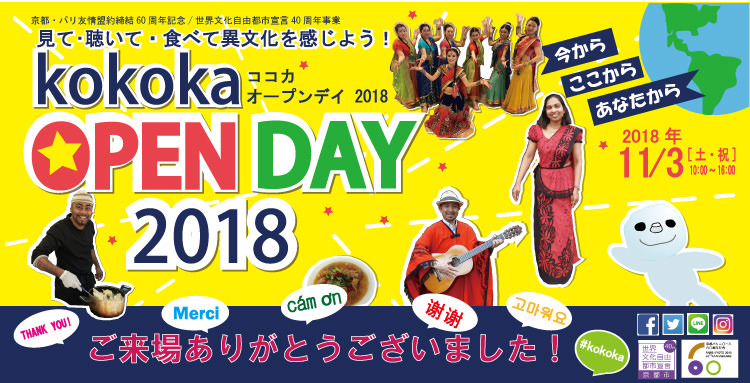 “kokoka Open Day” has been held on November 3 every year since 2004 to promote the activities of Kyoto International Community House (public property) and Kyoto City International Foundation provide. Using the entire building and site, we offer an exciting and enjoyable event for all age groups to become familiar with international exchange with the help of many volunteers. ・Enjoy Ethnic Costumes of the World!